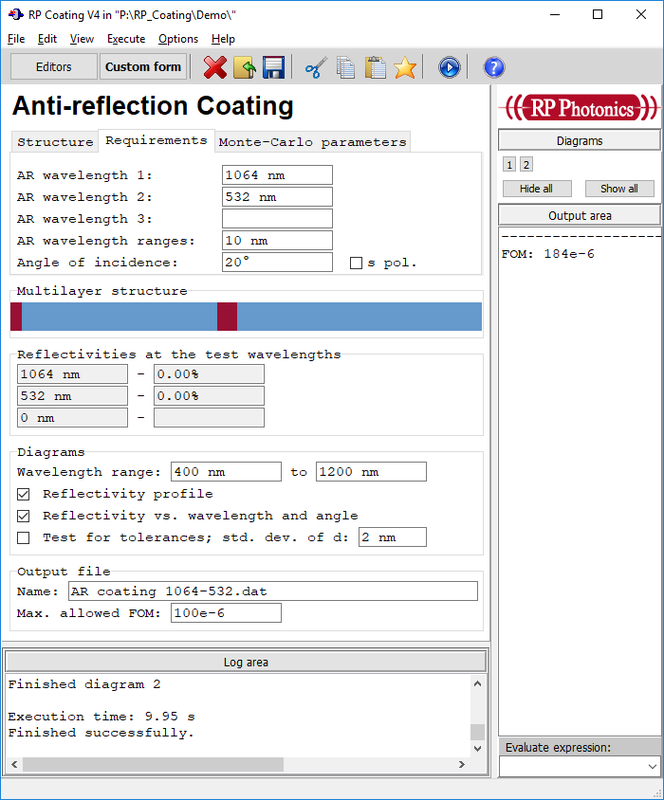 The thin-film software RP Coating for the design of optical multilayer structures: laser mirrors, anti-reflection coatings, edge filters, thin-film polarizers, etc. 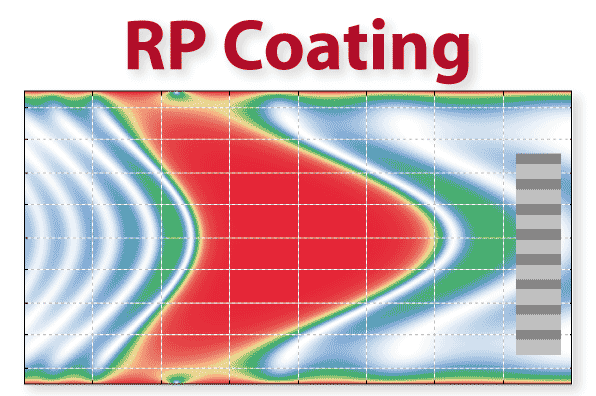 RP Coating V4 is a particularly flexible and powerful thin-film software tool for developing all kinds of optical multilayer structures. It is not limited to standard devices as conceived by the developer, but also gives the developer the power to analyze and optimize anything new. At the same time, it is extremely convenient for industry people who often need to quickly adapt designs to new parameter values: designs can be fully parameterized such that the whole structure can be controlled with a few parameters instead of a long list of layer thickness values. 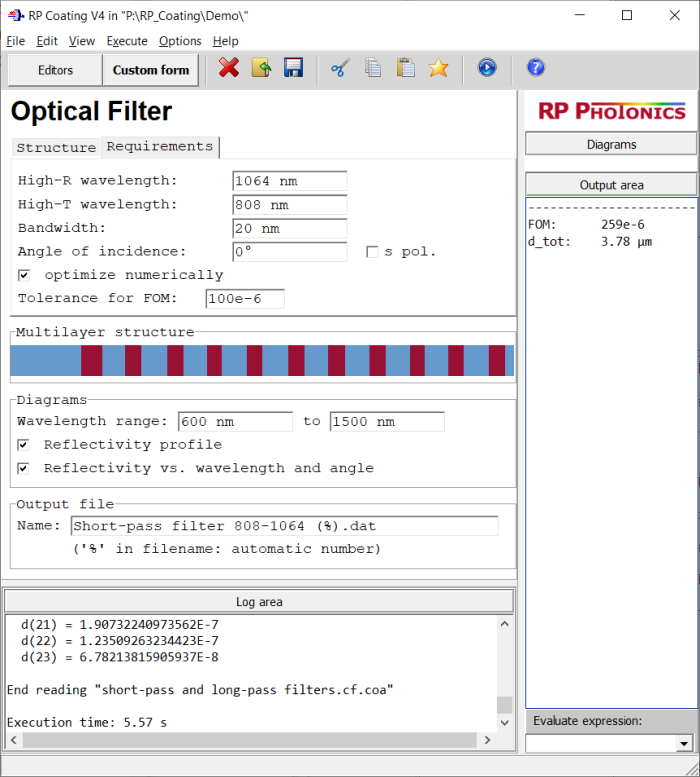 More than 15 demo files are delivered the software, treating simple mirror structures as well as sophisticated optimizations.